As 2011 slams the money down on the coffee table and tells us to get the hell outta here, we bid a fond farewell with a salute to this year’s investigations. 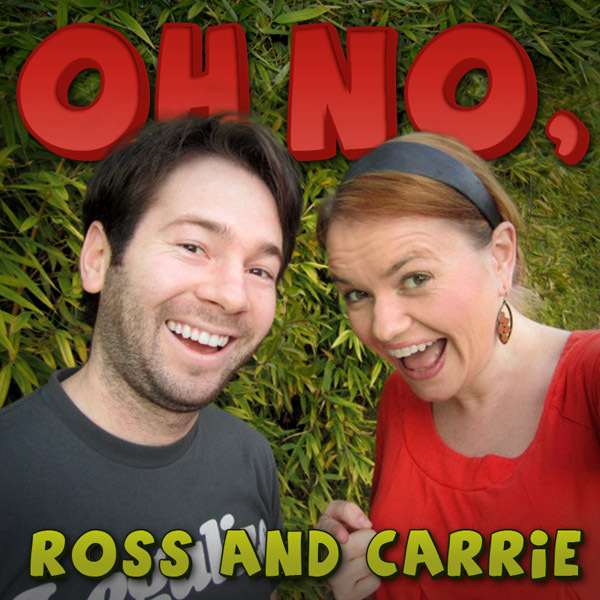 Ross and Carrie fill us in on what’s been happening with hypnotherapy, ayurveda, the Mormons and more, in the final episode of 2011. And they take questions from Roger Nygard of The Nature of Existence,Mr. Deity stars Brian Keith Dalton and Jarrett Kaufman, and you (yes, you!) the loyal listener. Boy, howdy! Tagged with Ayurvedic, Hypnosis, Hypnotherapy, Mormon, Si, acupuncture, alternative medicine, kabbalah, sikh. December 1, 2011 by Oh No Ross and Carrie. You asked for it and we delivered. 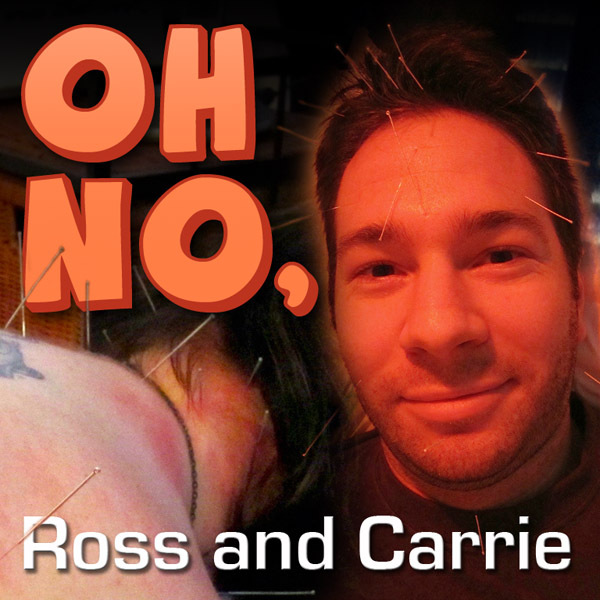 In this episode, Ross and Carrie each pay a complete stranger to prod them with over twenty needles and then tell them to "relax." Will Carrie's chronic neck pain improve? Will Ross' running strains go away? And is it all the result of stagnant Chi? Find out in this deeply probing episode! And don't forget to "like" us on facebook to see the pictures! Tagged with Chi, Qi, TCM, acupuncture, alternative medicine, needles, pain, traditional Chinese medicine. September 1, 2011 by Oh No Ross and Carrie.